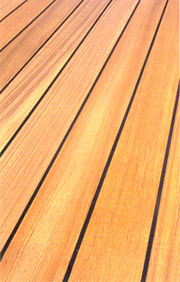 Table with composite materials, protected, once folded, by 2 flaps with teak slats panels, for a flush-deck aspect. 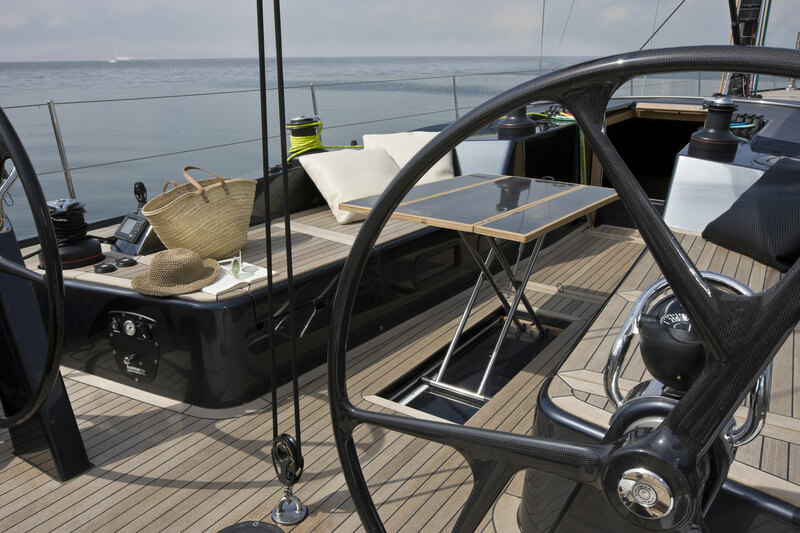 When sailing, the cockpit or the deck are free movement areas, restoring the primary fonction of the boat. When mooring or in the harbour, you can walk around without any obstacle, to remain coherent with the double wheel systems or foldable, removable, or pivoting wheel. When the table is up, flaps folded, it can be used as a side table, leaving the cockpit almost empty. In the same configuration, a second height is possible, to transform it into a coffee table	The table can be equiped with a stainless steel gaz spring. Footrest are also available. The table standard dimensions make it easy to install in all cockpit. 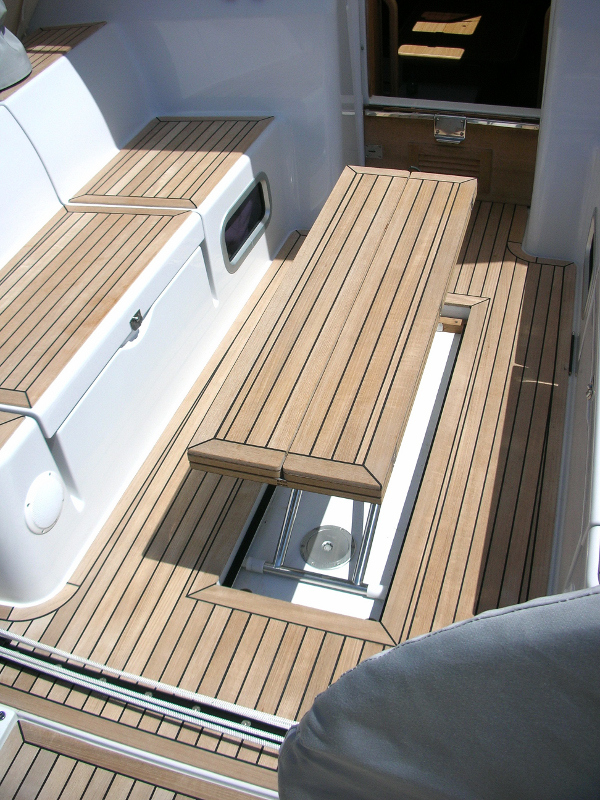 To compensate the table thickness, a recess must be initially done in the cockpit, when the boat is being built. 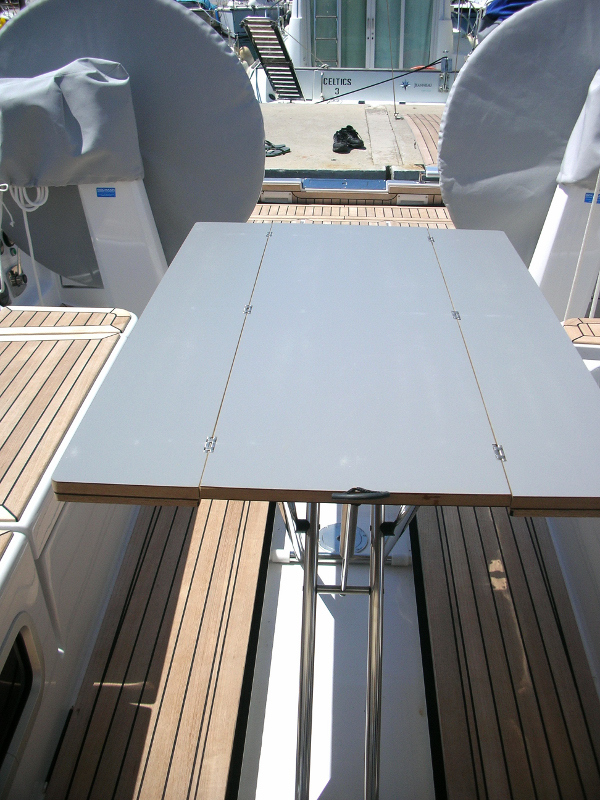 However, to equip boats already built, an aluminum casing is available in option, and can be installed like a deck panel after shaping. We deliver full table (folding mechanism + top), folding mechanism alone or top alone. 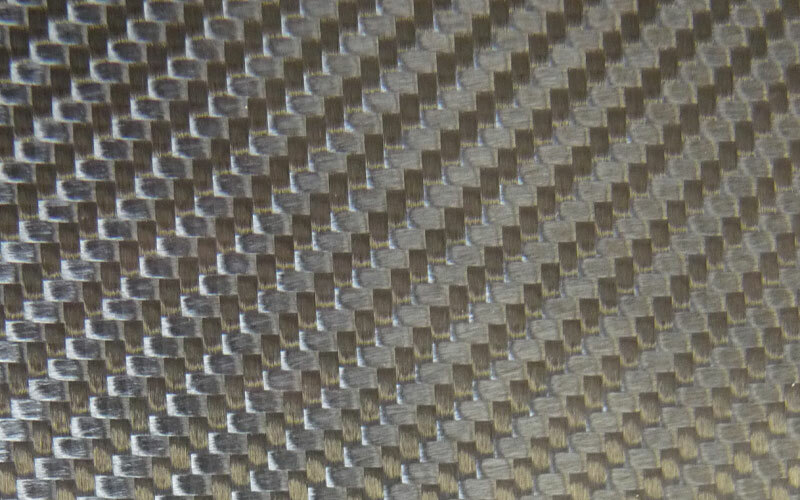 We can do other dimensions on demand for serial production. 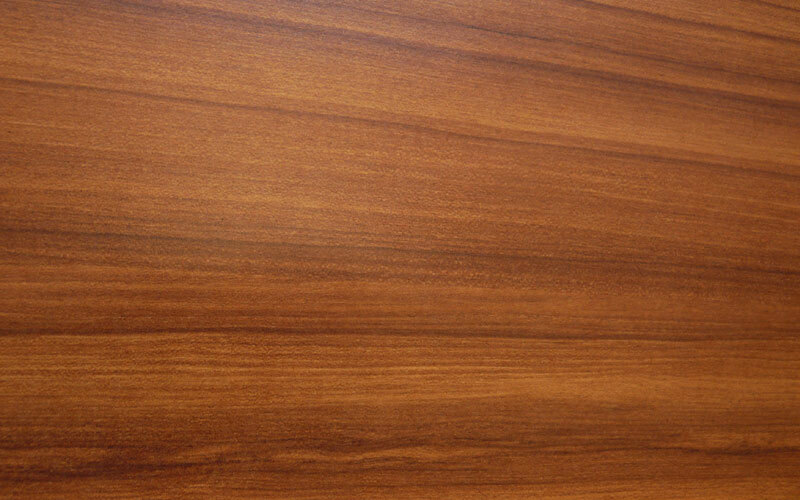 1000 x 360 x 70 mm (75mm with 5mm of teak on the outside of the flaps. 1080 x 360 x 70 mm (75mm with 5mm of teak on the outside of the flaps. 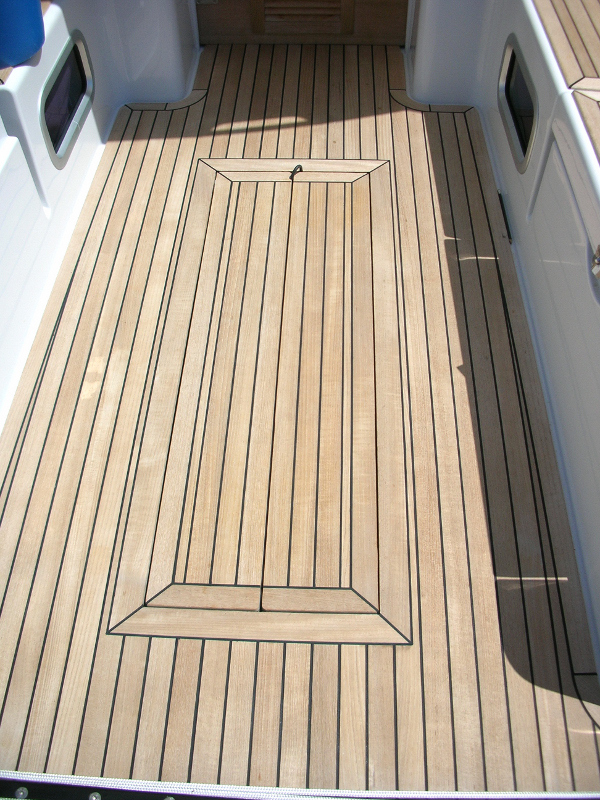 1165 x 400 x 70 mm (75mm with 5mm of teak on the outside of the flaps. Standard heights: 67cm / coffee table: 42.5cm from the deck. Can be adjusted when order. Weight: Table with folding mecanism from 10 to 16 kg. 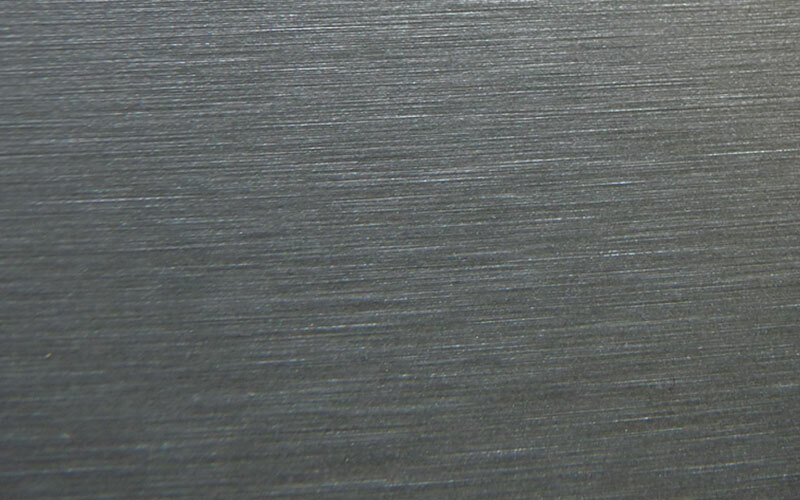 Aluminium casing: 1164 x 444 x 79mm - step thickness 4mm - cutting to install the casing: 1090 x 370 x 75mm (drain hole connector included) - Weight: 8.5 kg. 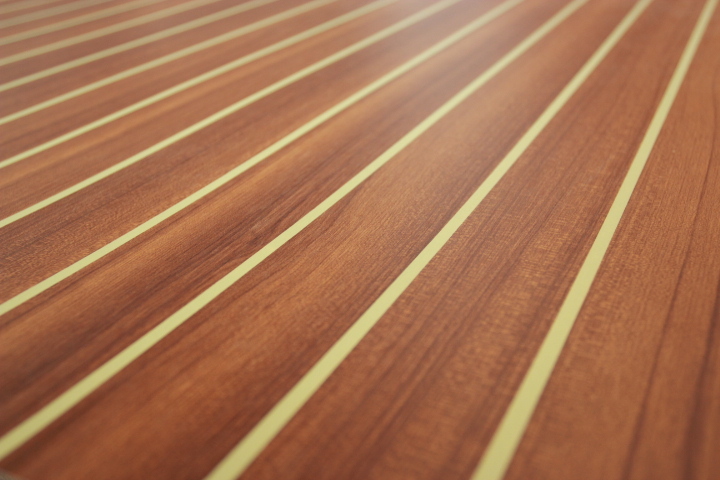 Option: teak panels with joined slats, identical to the ones of the table, enable you to cover entirely the cockpit ground by embedding the step. Table top made of composit, with solid teak sides, Airex core, high pressure stratified skin. 316L stainless steel hinges screwed laterally in inserts for a perfect horizontal stand of the flaps, without reinforcement nor runners. Folding mechanisms, with 316L stainless steel tube of 25mm diametre, weld with Argon, crimped axes, Delrin braces and pads, stability corner with white aluminium to screw in the recess, slipstrips if needed. Inside and outside finish with burman teak and polyurethane joins. Inside finish with thick grey laminate, scratch resistent and UV resistant / easy cleaning. 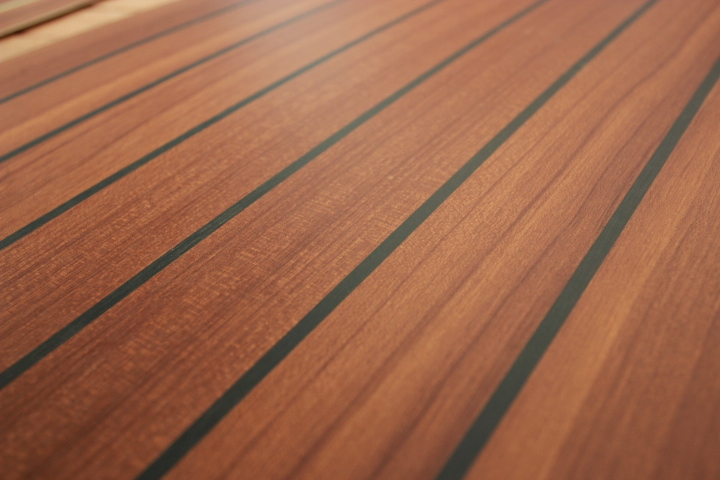 If you wish to have the same teak on your table than the one used by boat builders, you can send us 2 joined teak panels (natural wood or synthetic) to cover the flaps. All our models are INPI and OHMI protected. Non-contractual photographies. Models can evolve for improvement. 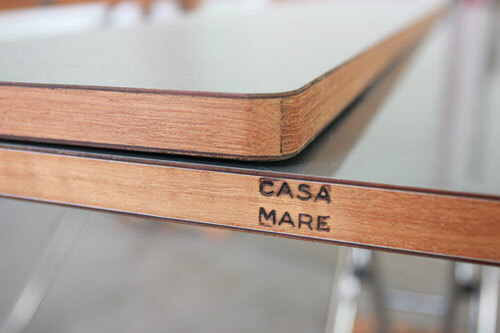 © Copyright 2014 | CASA MARE is a registered brand.